The safest, most natural lube you can buy! 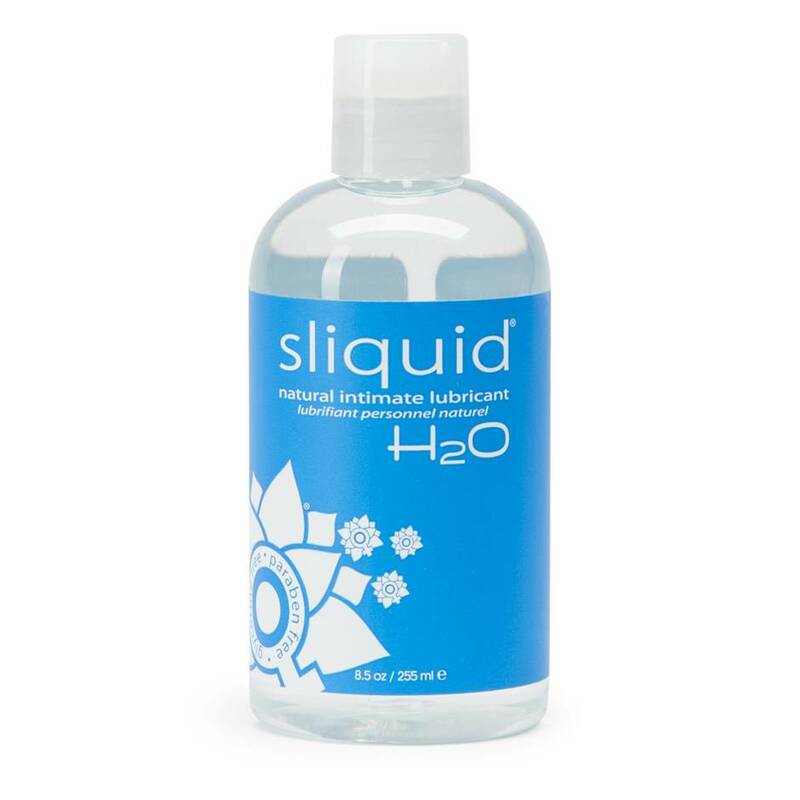 Sliquid H2O is the only original water-based personal lubricant that's 100% glycerin-free, paraben-free and vegan friendly. A top choice for anyone who wants eco-friendly lubrication that won't cost the earth. Order over the phone: Call 0333 103 6969 and quote code 11375. Designed with the female body in mind, this inert lube is hypoallergenic, pH balanced and contains no nasty ingredients which can lead to UTI's or yeast infections. Sliquid lubes are blended to emulate your body's own natural lubrication, using plant cellulose as a thickening agent instead of glycerin to ensure your downstairs stays as happy as a clam. Ingredients: Purified Water, Plant Cellulose (from Cotton), Cyamopsis (Guar Conditioners), Potassium Sorbate, Citric Acid (100% Vegan). This is my new favourite water-based lube! A little pricey, doesn't last as long as silicone lube. Really great, and my new favourite lube! This lube is unscented and easily applied. We love the actual feel of the lube which does not feel artificial like other products we have used in the past. This is not thick or sticky and has a more natural feeling which feels slightly watery if rolled between your fingers for a few seconds. This consistency means it feels natural when applied and doesn't stain the bed sheets. Great product for people wanting natural unscented lube. As a bad sufferer if sensitive skin that is prone to reactions against most soaps, glycerin-containing toiletries and fragranced lubes, I cannot even begin to describe my utter joy at finding this lube. Quite simply it just works, it feels great, it doesn’t dry out easily, no nasty smells or tastes and best of all absolutely no adverse reactions at all. I’d previously tried coconut oil to prevent reactions, but found that this was clogging pores in the pubic region creating a whole new problem in itself. This is great. Great feel, consistency, no bad smell or taste and best - no reactions!